Your search returned 54 properties. 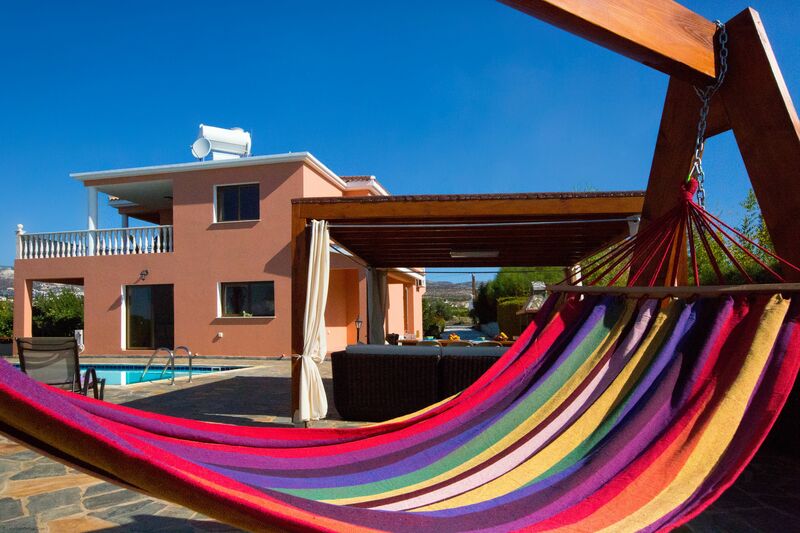 Set within 20,000 square metres of private land, Villa Ammoyali is in a private seafront position and has a Large private pool wth Roman Steps and overflow edges of 12m x 6m, 4 bedrooms, 4 En-Suites (plus cloakroom), Sea Views, Large BBQ , Pool Table, Kids play area, Air-conditioning throughout, Premium Satellite TV, Wi-Fi, Open Fire/Stove, Dining kitchen with dishwasher and many extras. It is just 200m from the Beach (Sandy) and Sea and just 2km from Polis Town. Villa Ammoyali is an ideal holiday retreat by the Polis coastline. 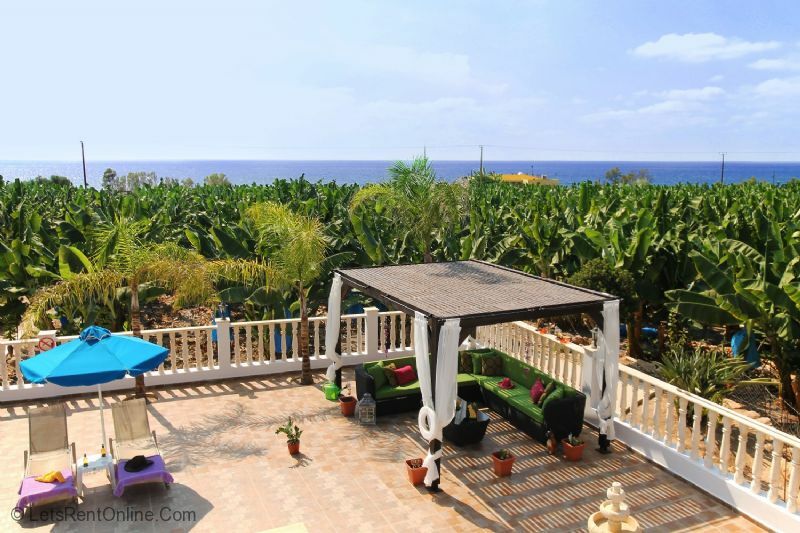 Villa Kyparissos (4 Bedroom) in Kathikas, Paphos District, Cyprus is a privately set 'Exclusive' villa within an extensive plot (which is fully fenced and gated) just over 1km outside of the main village. 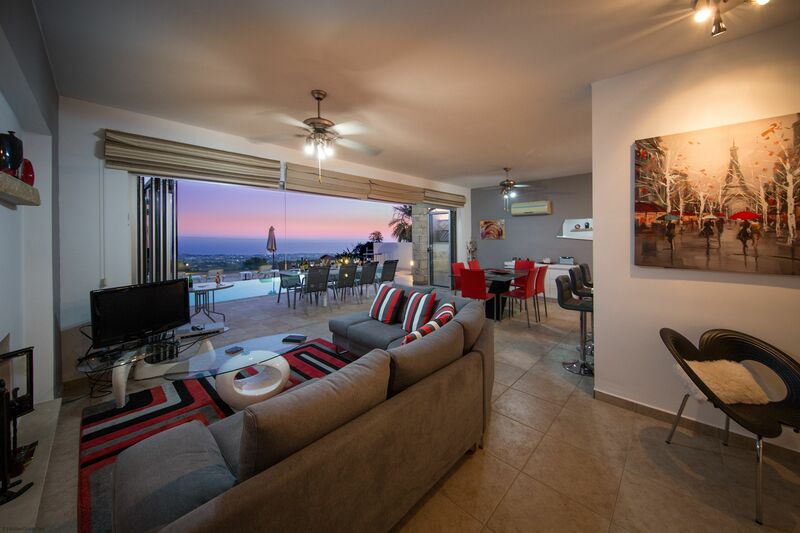 Amazing Views Overlook Peyia, Coral Bay and Paphos, Villa Kyparissos is a 4 bedroom, 4 bathroom villa that sleeps 8 (plus up to 2 infants) The property has recently been renovated and re-furnished to a very high standard of luxury. It's stunning stone arches and balustrades outside the villa and the many features inside give it the feel of a stately home in the sun. All this with such amazing views that must be seen to be fully appreciated. The villa includes private infinity edged pool, air conditioning, washing machine, dishwasher, wi-fi, and many other modern conveniences. It is also possible to walk to the owners taverna just 500m away. 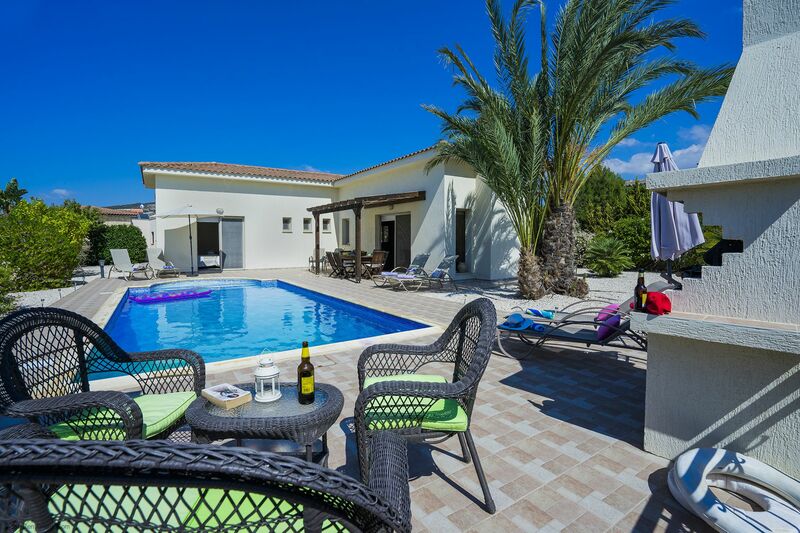 **NEW** Situated in an affluent part of the ever popular family resort of Coral Bay and just a (5 minute walk to the main street), Villa Anna Marina is a private paradise surrounded by stunning green banana plantations, affording beautiful views of the glistening (turquoise) Mediterranean Sea. 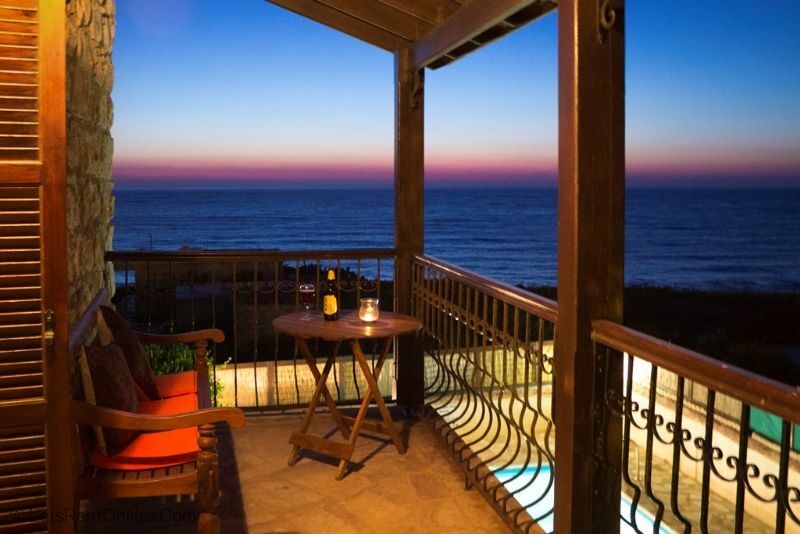 Treat yourself to a luxurious escape; consider Serenity Villa, a very executive villa located in Tala, Paphos, boasting the most stunning views across it's infinity pool towards the Meditteranean Sea. Villa Kyparissos 6 Bedroom in Kathikas, Paphos District, Cyprus is a privately set 'Exclusive' villa within an extensive plot (which is fully fenced and gated) just over 1km outside of the main village. 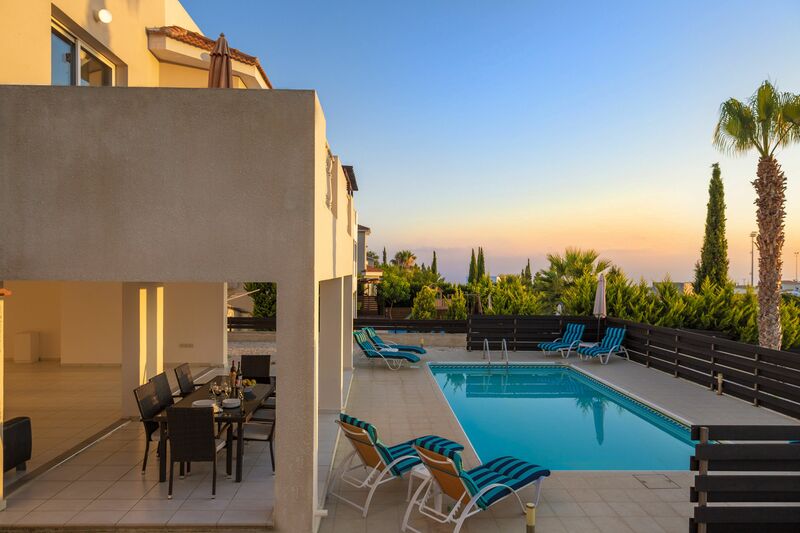 Amazing Views Overlook Peyia, Coral Bay and Paphos, Villa Kyparissos is a 6 bedroom, 5 bathroom villa that sleeps 12. 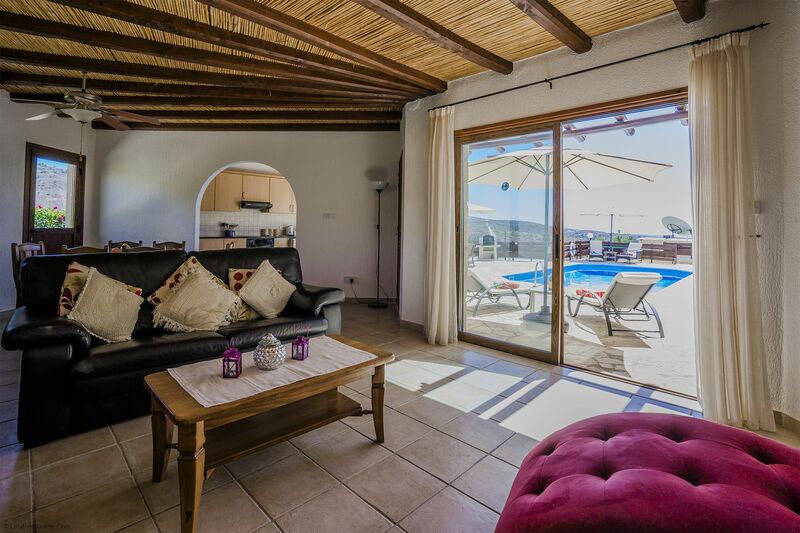 Seperate sections to the villa make it ideal for families and larger groups sharing. 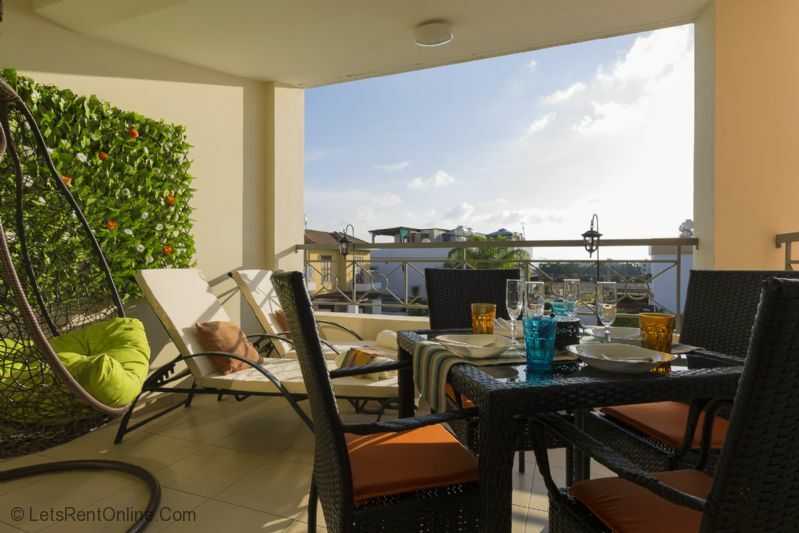 The property has recently been renovated and re-furnished to a very high standard of luxury. It's stunning stone arches and balustrades outside the villa and the many features inside give it the feel of a stately home in the sun. All this with such amazing views that must be seen to be fully appreciated. The villa includes private infinity edged pool, air conditioning, washing machine, dishwasher, wi-fi, and many other modern conveniences. It is also possible to walk to the owners taverna just 500m away. A secluded stone built villa offering a taste of the 'real Cyprus', 'The Retreat' is situated in the pretty village area of Peristerona near Polis in Paphos District. With 4 beds, 3 baths. 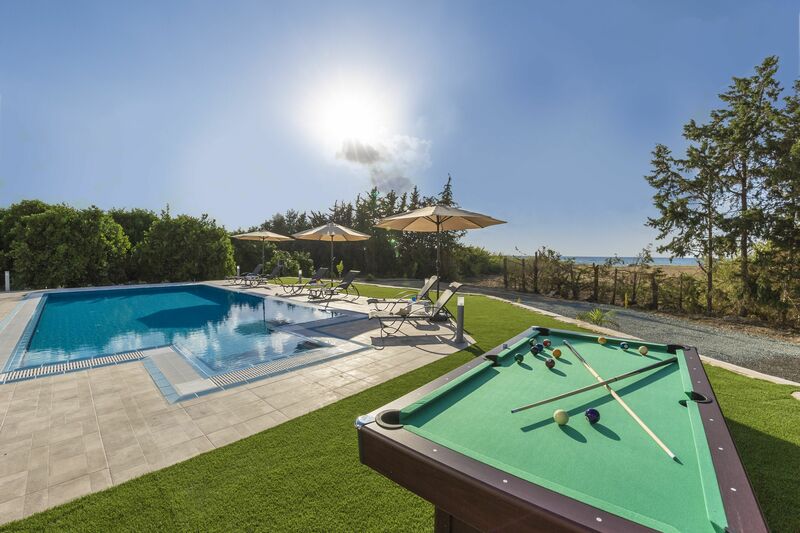 12m x 6m Private Pool, Satellite TV, Internet, BBQ and Jacuzzi to name just a few, The Retreat Villa has everything you need to enjoy a relaxing holiday in the Cyprus sunshine.